On Friday, May 18, Netflix will air Season 2 of "13 Reasons Why." A letter was emailed to all AASD families on May 17, in anticipation of the season release. Families will also receive the Statement from Suicide Awareness Voices of Education (SAVE). This document provides information about the series as well as general guidelines and resources for educators and families. 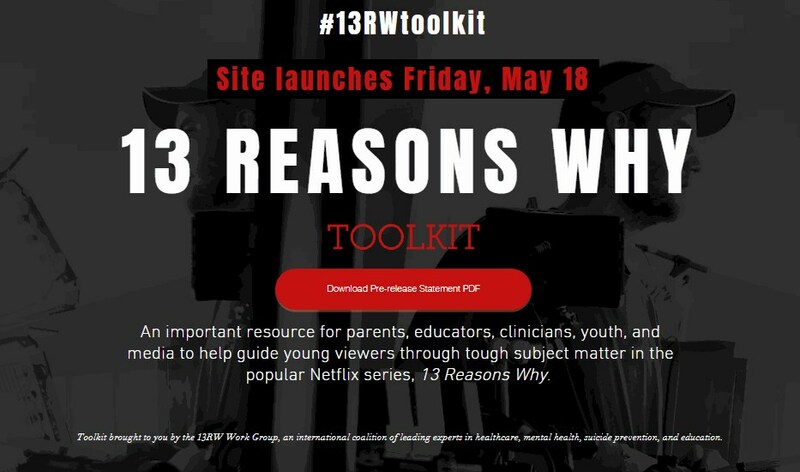 The 13 Reasons Why Toolkit , https://www.13reasonswhytoolkit.org/, will launch on Friday. Content is still being added to the site, but it is expected to be ready by Friday. If you have any questions, please feel free to reach out to your school's counseling staff.